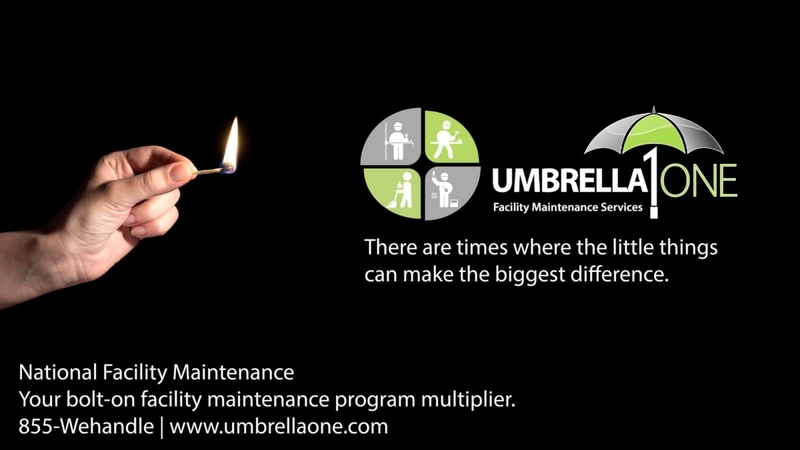 Understandably, prospective clients often ask what’s unique about UmbrellaOne’s facility maintenance services? We welcome this inquiry because we feel that our answer is in large part of what contributes to our success. People. Not software. Not low prices. It’s our group of unique people who separate us from the pack. Our priorities on finding talented and caring individuals who are prepared to invest themselves in a career with UmbrellaOne is our special sauce. No doubt about it. However, when you look more closely, it is the specific actions of our people that are examples of why our answer really matters. More and more we notice the positive feedback we receive for the simpler aspects of our job. While we are fortunate to have an extraordinary database of commercial handymen, electricians, plumbers, etc., a lot of the appreciation we receive is when we do the little things we feel are required along the way. The call to a store manager to confirm help is on the way and inquire about preferred scheduling. Proactively prepare and explain available repair options to a facility manager who hasn’t had the opportunity to see the issue firsthand. The follow-up to confirm job satisfaction or offer a sincere apology for the times when a goal is not met and return to meet that goal ASAP. There are many other examples, but it all boils down to a personal commitment and communication from a specific individual. The comfort of knowing someone personally is working to help resolve their issues. When you look at your facilities maintenance program, benchmarks and KPI’s are critical factors to determine the value and success of your program. With that said, do you ever just review at the “feel” of your general repair program? Can it do more than just get stuff fixed? Does it contribute to your employee morale and empower them to take better care of your company’s real estate assets? Does it align with your company’s culture and values? This may sound far-reaching, but the team at UmbrellaOne believes we can be more than just maintenance technicians and sometimes it’ll be the little things we do that help to remind you of why we’re your commercial R&M partner.